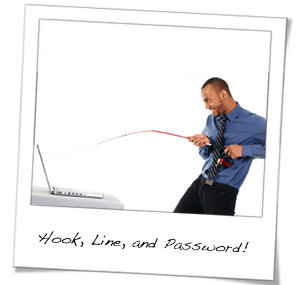 Don’t Get Lured In by Phishing Scamsters! Hundreds of consumers have found themselves the victims of an e-mail scam known as “phishing.” It involves high-tech fraudsters who pretend to be a legitimate financial institution or credit card company. Hiding behind the anonymity of the Internet, the fraudsters send out “official-looking” e-mails designed to trick consumers into divulging financial and personal information such as account numbers, passwords, user names, Social Security Numbers, and other sensitive data. In most cases, the e-mail claims there is an account problem or warns of a possible account fraud threat. Either way—the whole idea is to convince the consumer there is an immediate need to update their financial information. Do not reply to the e-mail or respond by clicking on a link within the e-mail message. HCCU will never ask you to provide any kind of confidential or financial details via an e-mail request. Contact HCCU as soon as possible to report the suspicious e-mail.